The Animal Genetics Training Resource (AGTR) is developed by a team working on the project "Capacity Building for Sustainable Use of Animal Genetic Resources in Developing Countries". The International Livestock Research Institute (ILRI) and the Swedish University of Agricultural Sciences (SLU) jointly implement the project, which started in 1999. The overall objective of the project is to enhance human capacity in the developing countries of Sub-Saharan Africa, Asia and Latin America in the area of conservation and sustainable use of animal genetic resources. For information about the project, see "Read more …" in the AGTR homepage. AGTR is a unique and user-friendly interactive multimedia resource, targeted at researchers and scientists teaching and supervising graduate and post-graduate students in animal breeding and genetics. The main contents of the Resource are'Modules' and 'Resources'. Global perspectives on animal genetic resources for sustainable agriculture and food production. Improving our knowledge of tropical indigenous animal genetic resources. Sustainable breeding programmes for tropical farming systems. Quantitative methods to improve the understanding and utilisation of animal genetic resources. Within the module texts, there are links to other contents of the resource, i.e. case studies, examples, exercises, compendia, breed descriptions etc. that are related to the module content. There are also links to the other modules, and to relevant resources that are available on the Internet. 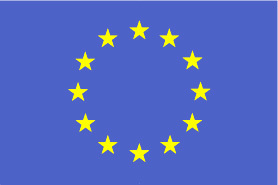 Information on the various resources available on the Internet is presented in the tool "Web resources". Case studies are a written summary or synthesis of real-life experiences that capture indigenous knowledge. They give examples where programs or procedures were successful and where they weren't, and why, and they also identify knowledge gaps of local or regional activities in animal breeding and genetics in developing countries. The case studies can be helpful in teaching to illustrate principles and/or methodologies that are commonly applied in Animal Genetics and Breeding, but which are otherwise difficult to grasp by students. The breed information tool provides a database where all breeds mentioned in the modules or case studies are available. The following areas are briefly covered for each breed: Origin and distribution, Physical characteristics, Peculiarity, Breed status, Utility. A photograph of the breed and a map of its location, as well as literature and websites for further information are also provided. Links are given also to some general breed databases available on the Internet. Maps presented provide an indication of the density and distribution of livestock in various regions of the World. Not all regions are presented; however, maps will be updated as soon as more information is generated. Examples provide illustrations of principles or methodologies that help improve the understanding of a topic. Two types of examples are presented, Animated examples, with animations using flash media player; and examples on Biometrics, based on real data, which illustrate the methods of regression analysis and least squares and mixed model analysis. The examples are aimed at animal geneticists and breeders. They also contain study questions that teachers can give to the students to further illustrate the concepts. Under this heading you find exercises of various kinds that can be used in teaching animal breeding, all with the purpose to improve students' understanding and learning. There are Manual calculation exercises (and solutions), there are Computer exercises, e.g. on genetic evaluation (BLUP) and on breeding plans, and there is also an extensive example of analysis of a sample data set. Furthermore, there are questions for group discussions in animal breeding. Compendia (course notes) are condensed texts on specific subjects and can be provided to students as course readings. The compendia included cover various aspects of genetic evaluation and selection, and there is also a compendium on science communication. Furthermore, there are some software manuals, i.e. basic introductory guides that enhance use of software. Clips and pictures are intended to provide examples showing various livestock genetic resources, or applications of different experimental protocols under prevailing production and husbandry conditions in developing countries. The pictures provide an indication of the diversity available within species. Clips and pictures will be extended in future versions of the AGTR. In this section, a number of terms related to animal breeding and genetics are explained. The glossary is available both in English and in French. To search for specific documents, phrases, words, authors etc., a Search facility is available in the Tools menu of the resource. A general search facility is available in the resource to search for an optional topic of interest. The search tool is a full text search engine that indexes all the text available on the resource, and will yield a list of documents and other contents where the key words or phrases typed are found. The Web resources button within the Tools menu leads to information on Databases, Software, Courses and Course notes, Organizations and Networks, and Additional information sources related to animal breeding and genetics. By exploring the websites one can find a lot of material that can be very useful in teaching and research. The website for each source in the Web Resources lists is given in the URL row. Getting connected to the websites requires access to the Internet. When connected, copy the address of web resource you want to open and paste (or write) it into MS Internet Explorer, or some other browser. Disclaimer: ILRI and SLU are not responsible for the content of the web sites cited or for any changes of ownership of the domains. References to relevant Books & CDs are also given. For each book and CD, some highlights are provided. Information is also given on contacts and how to order the book or CD. By clicking the Contributors button below the Tools menu one finds information about who were the main contributors to the contents and to the design and functionality of the training resource. The training resource was produced through a team effort and credit goes to all contributors and collaborating institutions. For authorship for the modules, compendia, case studies, exercises, breed information and examples, due credit is listed within the respective resources. The current version (Version 3) is an update of the version 2, and is based on feedbacks and experiences also from users and reviewers of the CD version 2. Also listed under contributors are the names and contact addresses for individuals who have participated in various courses and workshops carried out within the ILRI-SLU Capacity Building project in several regions of developing countries. These lists cen e useful to facilitate contacts and networking. Under the Financial Support button, information is obtained about the funding organization (Sida), whose support enabled the production of the Animal Genetics Training Resource. 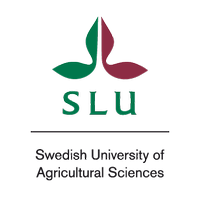 Information about the project institutions (ILRI and SLU) is obtained by clicking on the respective logos in the upper part of the home page. University and college teachers in animal genetics and breeding are encouraged to use information from this training resource in their teaching and research. Many of the materials can be printed to students to serve the purpose of examples, assignments, group discussions and self-studies. The knowledge gaps identified in case studies can be used to stimulate further research, including student thesis research. The components in this Resource can also be used in presentations/seminars. Teachers can also adapt the material by modifying text or visuals to suit their own situation. Whenever information is used from this resource, however, due recognition of copyright and citation should be made (see next section). © ILRI 2011. All rights reserved. Parts of the Animal Genetics Training resource may be reproduced for non-commercial use provided that such reproduction shall be subject to acknowledgement of ILRI as holder of Copyright and credit is duly given to the author(s) and source. Correct citation for use of information provided within the Animal Genetics Training Resource is found under the button "© & Citation", which appears below the Tools menu. You can also get there through this direct link [© & Citation].